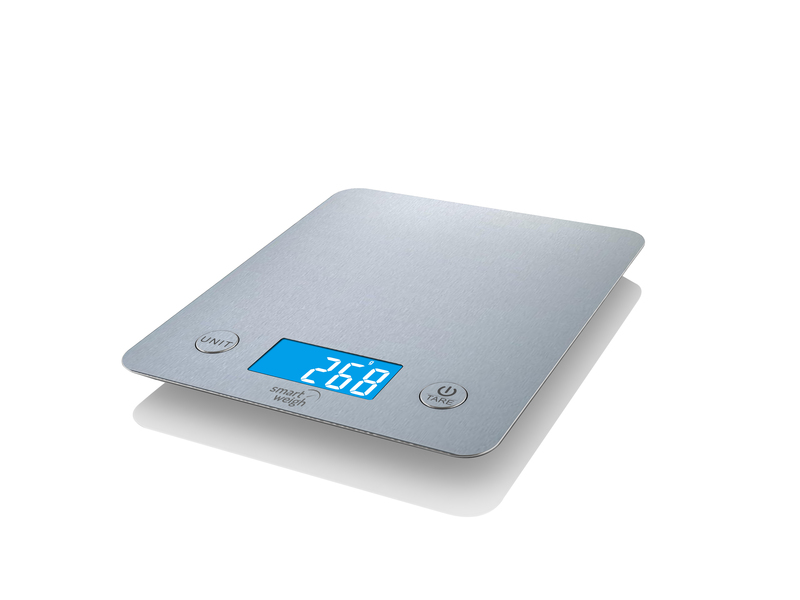 I just got this great digital scale from Smart Weigh. The display is digital and works great. It weighs up to 11 pounds! It’s small and light weight which I love because honestly I don’t have a lot of counter space so I just put mine in the drawer and just take it out when I need to use it. It’s also really easy to take with you and travel with. It has a nice sleek stainless steel design that I love and fits really well into any kitchen decor. The scale is very accurate and I had no problems using it. I even compared it to other scales that I had to check to see if they gave the same readings. I like the small light weight design because it allows you to easily move it around the kitchen with you, easy storage, and easy to handle and manage. I had no problems getting the scale to turn on and move between functions. The stainless surface makes it extremely easy to clean. I just use a rag to wash mine off. If I have used raw meat on it then I disinfect with soap and hot water and a disinfectant cleaner but it is really easy to clean. A great scale, especially for travel. Sleek and durable stainless steel platform. Weighing capacity of 11lb/5kg, division of 0.01oz/1 gram. High precision sensor system ensures accuracy. Use scale to weigh a wide range of items. Digital scale has a large, easy-to-read, backlit LCD screen. Unit button allows user to switch between oz, lbs, g, ml, fl’oz with ease. Kitchen scale includes 3 AAA batteries. Features a low battery indicator with auto-off function.